You've got the planning down - you just need a professional team to take over and make it happen, so you can be stress free during your wedding. We can't read minds (dang it), so the 8 weeks prior to your big day are used to handoff and finalize plans to ensure we're ready to execute on the big day. Our most popular package! Like most, you need some help with the big stuff. You have a vision but you need someone to focus the design and blend the ideas into a cohesive plan (from thousands of pins to one incredible design board). We'll help you through the planning process, and turn your vision into a reality. You don't even know where to begin, or "ain't nobody got time for that!" No worries. This package is a true VIP experience from day one. 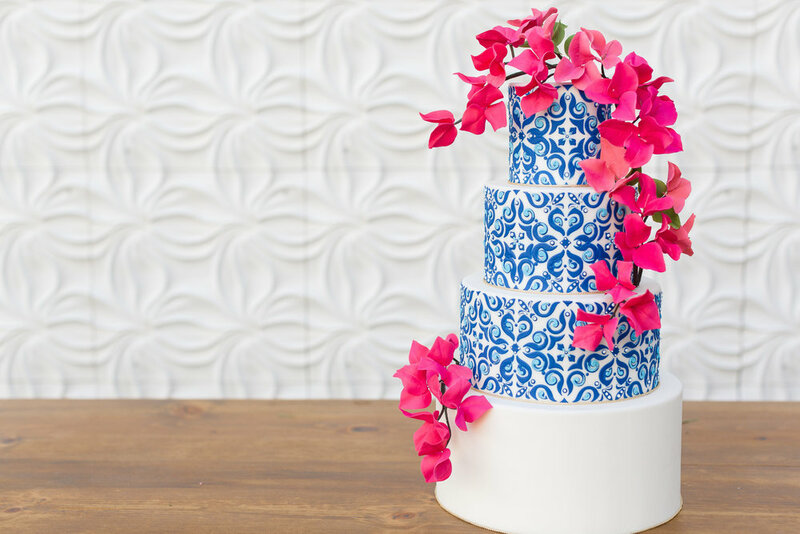 Wedding planning requires 1,000 decisions but we'll take care of almost all of them for you. Spend more time enjoying your engagement than stressing about your wedding. Guidance with ceremony details, such as music, logistics & flow. "Kris and Tyler with Konsider It Done were our wedding day heroes! My husband and I were faced with the challenge of planning a wedding from out of state and turned to Konsider It Done to help us out. It was one of the best decisions we made through our entire wedding planning process. From day one, Kris & Tyler were our partners in all aspects of planning - from designing to logistics to emotional support. Our wedding day was better than we ever dreamed, and thanks to Kris & Tyler, it went off without a hitch! At the end of it all, we walked away with incredible memories of our wedding day & a friendship with Kris & Tyler. We cannot recommend Konsider It Done enough!" "Kris and Tyler are quite literally a dream team. The organization and support that they offer truly allows you to sit back and focus solely on enjoying your special day. In addition to their dedication to keeping everything organized, the eye that Kris and Tyler have for design is incredible. Our day went off without a hitch and every single detail was more gorgeous than we could’ve imagined. THANK YOU KONSIDER IT DONE! Our day would not have been as perfect without you!!!" 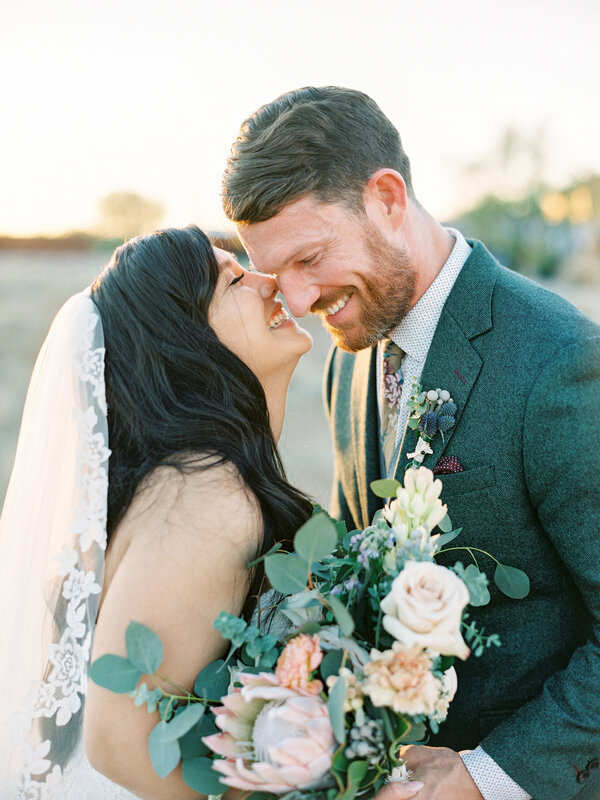 "We were so lucky that Kris and Tyler of Konsider It Done went from friends to friendors for our February wedding ceremony at the Desert Botanical Gardens and our reception at The Showcase Room. While we were a very hands-on Bride and Groom, hiring KiD allowed us the freedom to take on the planning actions that we wanted, but also provided us the support and leg work that we did not necessarily have time or energy for. KiD met with us on a regular basis to ensure that we were all on the same page, recommended vendors to us, and reached out to every single vendor in order to create a streamlined timeline for the wedding day, taking so much weight off of our back, and allowing us to enjoy the week of our wedding instead of calling dozens of contacts, verifying set-up times, or arranging drop offs, pick-ups, or handling last minute changes. Our wedding day went so smoothly, thanks to Kris and Tyler. We cannot thank them enough for their day-of coordination, organizational skills, or lifelong friendship. Thank you Konsider it Done!" "What more can I say... Konsider It Done was an absolute pleasure to work with. Our wedding, which was out-of-state (Texas), was planned over the course of a 14 month period. Kris and Tyler held our hand through the entire process and met with us in-person, via Skype meetings, phone calls and emails to go over the timeline and every detail involved. They were so easy to work with and were available to us anytime we had questions. They helped turn an overwhelming life event into a seamless process and their knowledge of the wedding industry did not go unnoticed. They helped connect us with different vendors and even provided a spreadsheet (apart of our wedding package) that helped organize our budget, guest list and to-do-list. Their unique husband-wife approach to wedding planning truly sets them apart from the competition. When I had questions (from a male’s perspective), Tyler would provide his insight to me, which was very helpful, and same goes for my wife when she had questions for Kris. I would recommend Konsider It Done to anyone, as they helped planned a dream wedding we will never forget." "My husband and I were clueless when it came to details for our wedding. I had an idea of what I wanted, but just couldn't vision it. I didn't even know where to start! I was really overwhelmed. Kris and Ty turned everything around. They kept us on schedule and really helped make the process easier. We owe a huge thank you to the dynamic duo for helping us have the wedding of our dreams. You guys are the best team!" "Or wedding would not have been the wedding it was, without the tremendous talent and heart of Kris and Tyler. They worked with us throughout the planning process. They always made me feel at ease during what can be such a stressful time. Everyone says that you have to be prepared for 'something to go wrong' or 'not quite how you want it to be' on the wedding day - but with Krisler, no matter what that 'something' is, you can rest assure that they will handle it swiftly and gracefully. You'll probably never even know! Thank you both!" "As many of you know, I am very organized & figured I could do it on my own. What ends up happening is your friends and family take on the burden of set up/clean up, vendor coordination, etc or even worse, you or your groom have to deal with this. Kris & Tyler made the day before and day of our wedding a breeze! They were there every step of the way to make sure everything went smoothly & it did! Better than I could've hoped!"